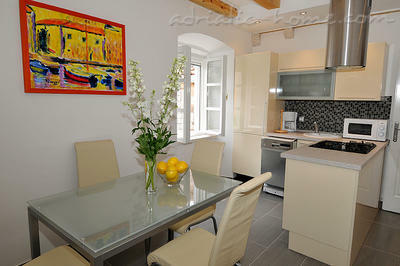 Luxury and stylish, nicely designed medieval house apartment that combines cosmopolitan chick and charm of Old City. 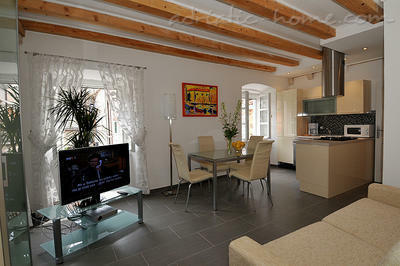 Just minutes walk fro the main street and main attractions of the old town and the beach.It is in 250 years old house in the flat part of the town recently restored with no steps to the house. 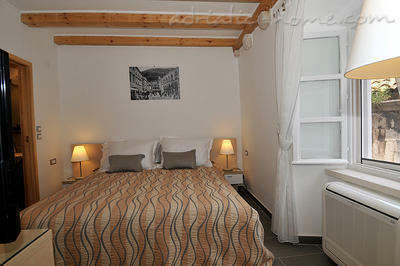 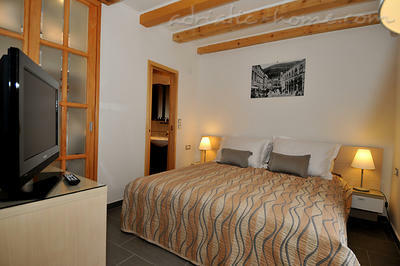 Ideal for travelers looking for comfort of a luxury hotel with medieval charm. 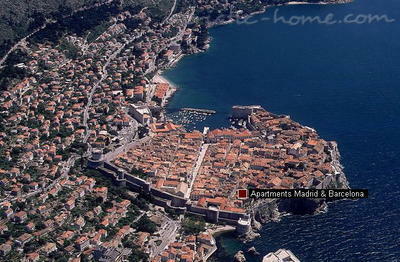 Come and experience Dubrovnik squares, churches, art galleries, festivals, bars,and restaurants that are only few minutes walk from the apartment. 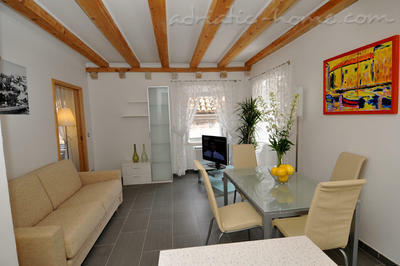 The apartment is fully equipped and consist of living room with foldable sofa-bed, dinning table with 4 chairs, nicely decorated floor with Spanish tiles. 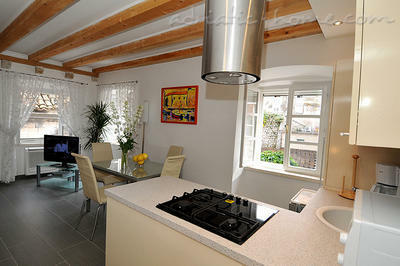 It is with fully equipped kitchen that has gas and electric stove, dishwasher, microwave , coffee machine. 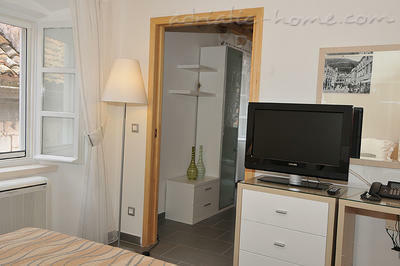 Living room and bedroom both have LCD tv with more than 500 satellite programs and there is one CD/DVD player. 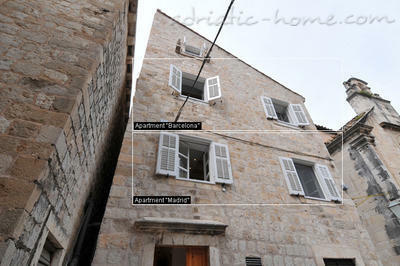 Windows combine old and modern: local wooden shutters, mosquito nets and they are sound proof. 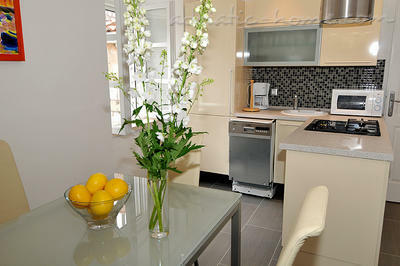 It is fully air conditioned or heated in the living room/ kitchen and in the bedroom. 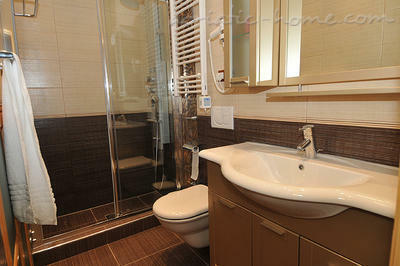 Bedroom has big king size bed.Bathroom consists of rain shower with massage jets,various mirrors, hair dryer, heated towel rack, digital balance and washing machine.